Pavement United Brands is a one-stop shop for all your teenage fashion wants and needs. Pavement store brings you the season's hottest line up of clothes and accessories for girls and boys between 7 and 16 years of age. The motto of Pavement is achieving one hundred per cent customer satisfaction, a moto that the brand holds true on every account. The company's fashion mantra is “fashionably fun”, which is reflected easily in all products for teen girls and boys. Pavement markets itself as a young fashionista's paradise. Walk into a Pavement store and it's easy to see why. A wide array of choices, great bargains, and a personalised shopping experience await at Pavement. 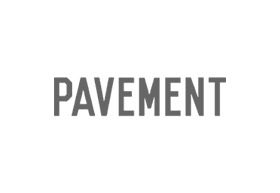 At the Pavement store in Chadstone, you will find the best selection of clothes, shoes and accessories from nine leading brands – Asphalt, Gum, Nonsense, Petals, ZOM-B, Coco Beach, Gumboots, Wax Bros., and Pavement.